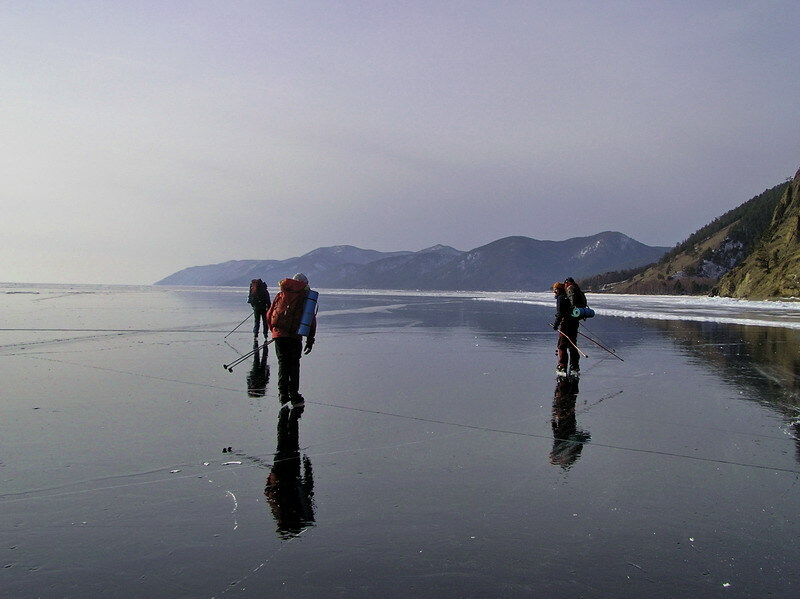 Baikal-Complex sponsors annual Baikal Nordic Skate Grand Marathon. Best since 10th of February till early March. Strenious to extreme. Want to skate the biggest skating ring in the world ? 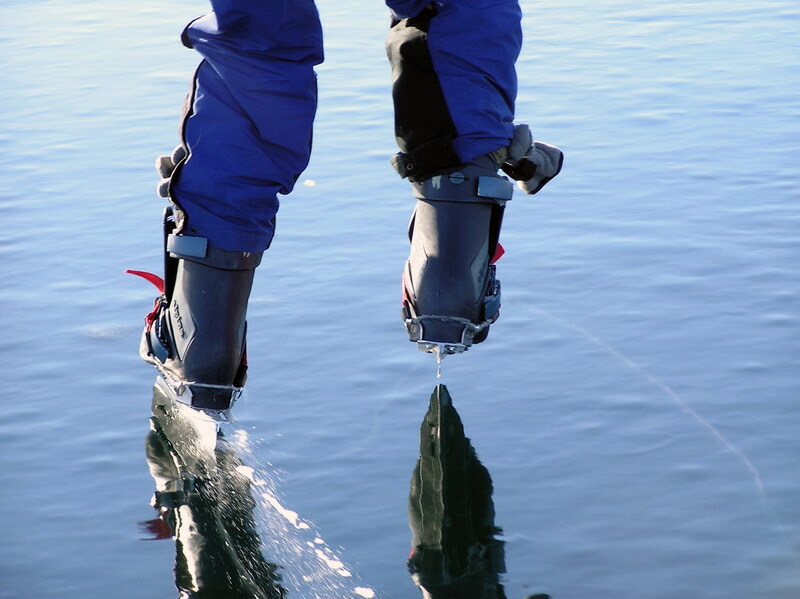 Imagine black ice all the way to skyline one covers on the Nordic skates day after day in a line. The ice is sometimes smooth, sometimes rugged, full of cracks and bubbles ornamentally frozen in a meter thickness, but never the same. The woody hills of Pribaikalskiy ridge, with sharp capes, precipitous cliffs, small sandy beaches follow each other on the shoreline. Usually Baikal freezes over in mid January and in a few days the ice grows thick enough to hold a man. It is followed by rather short period when the ice is mirror-smooth and one can hardly understand if the huge immensity is hard crystal or it is very still and quiet water. Later on, the snow will partly cover the surface, wind will make it hard and bumpy, cracks in ice will appear. End of January and early February is the ideal time when Baikal skating fans hold a traditional skating marathon along the western coast. The marathon has been held for more then 30 years already. This several day tour is one of the most fascinating and extreme trips at Baikal. It requires good skating skills, winter travel experience and hunger for adventure. The tour starts in Buryat fishing settlement Sakhurta, than passes the town of Bolshaya Buguldeyka and runs down south, via Peschanaya Bay, Bolshoe Goloustnoe to Bolshie Koty and finally ends up in Listvyanka village, where the Lake Baikal Museum is visited. Every day tourists normally cover from 50 to 90 km, depending on the wind and the ice conditions. Overnights in small wooden cabins along the coast. Day 5:Skate to Bolshoe Goloustnoe village. 85 km. Accommodation in family or chalet.